New fiction from a leading activist and peacemaker. Many know Daniel Berrigan for his protests against injustice and war and nuclear weapons. For his acts of civil disobedience over the past four decades, he has suffered years in federal penitentiaries and nights in New York City jails. 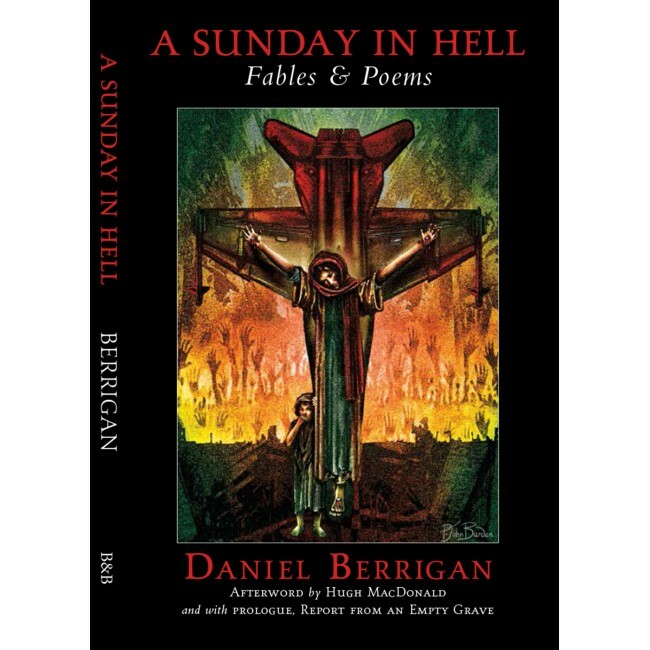 A prize-winning poet and respected interpreter of the Bible, Berrigan now emerges in this debut collection of short fiction as a biting satirist and cultural critic. In A Sunday in Hell, Berrigan offers twelve provocative parables for today’s tumultuous times, including "The Hole in the Ground: A Parable for Peacemakers," which exposes the sinful wastefulness of war economies. 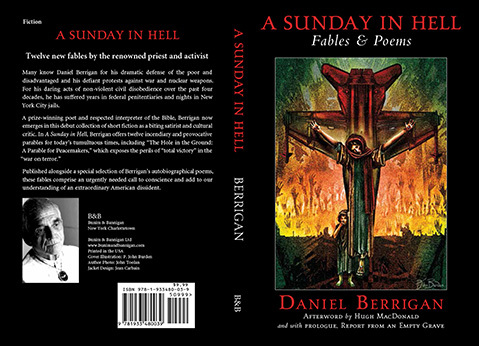 Intermixed with a selection of Berrigan's poetry, these fables trouble our consciences and perhaps reveal a new aspect of a unique American dissident. Daniel Berrigan is a Jesuit priest, poet, and peacemaker, has often been nominated for the Nobel Peace Prize. He has written more than fifty books, including studies of the Hebrew prophets and other books of the Bible, an autobiography, To Dwell in Peace, and many volumes of poetry, beginning with his prizewinning Time without Number. He is the author of The Raft Is Not the Shore (with Thich Nhat Hanh), The Geography of Faith (with Robert Coles); and a play, The Trial of the Catonsville Nine. And the Risen Bread: Selected Poems 1957–1997 was recently published by Fordham University Press. Hugh MacDonald (Afterword) is the poet laureate of Prince Edward Island. He has authored poetry, fiction, and literary anthologies.